Fieldstone Farm is a non-profit organization that holds a 501(c)(3) status. For four years in a row, Fieldstone Farm has received a 4-star rating from Charity Navigator which evaluates and rates non-profit organizations on their financial health, transparency and accountability. 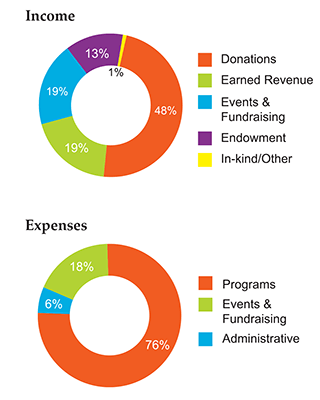 Only 16 percent of the charities they evaluate are given consecutive 4-star ratings. 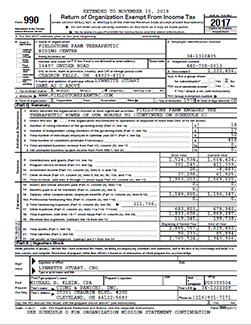 Review Fieldstone Farm’s 990 filing. 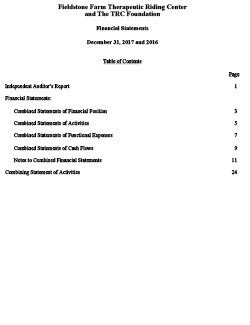 Review Fieldstone Farm’s Combined Financial Report, December 31, 2017 and 2016.